Perodua Axia is hatchback type five door car now available in Sri lanka market. Axia produced by Malaysian automobile manufacturer company name Perodua. 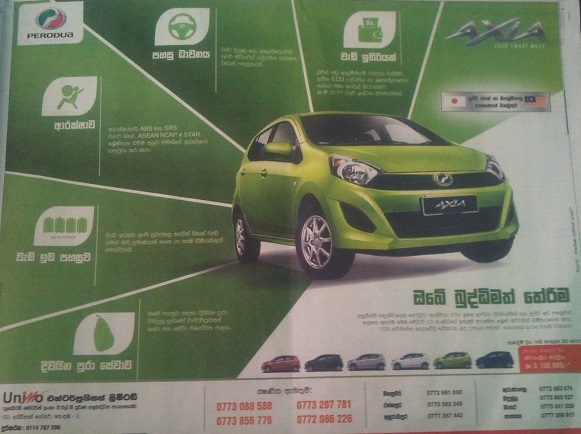 Perodua Axia marketed by United Motors Lanka PLC in Sri lanka. Axia comes with Spacious interior, energy efficient engine(21.6 km/l), Flexible seating arrangements, maximum safety and security. 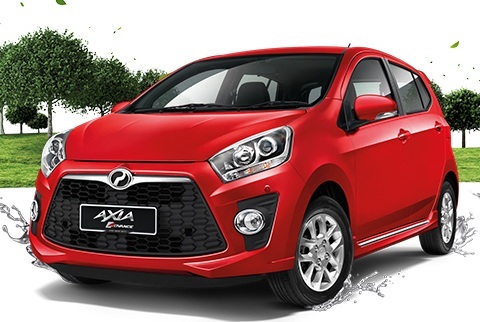 This is latest Perodua Axia Price in Sri Lanka.